Schedule an appointment with Marion Smile Center between March 1 – June 30, 2019 to select a teeth whitening option that best for you (grab & go, customized trays, or in-office whitening) and 50% of ALL proceeds will be donated to the Harmony Fire District and the other 50% will go to Smiles for Life Foundation. The Harmony Fire District will use these donations to fund the purchase of Thermal Imaging Cameras. 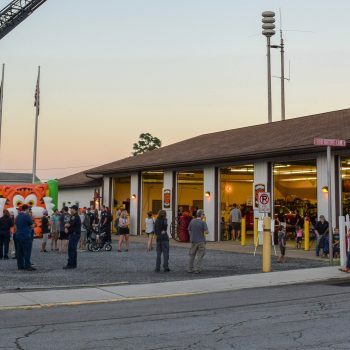 On June 27, 2019, the Harmony Fire District will have our fourth annual Open House where community members of all ages can learn about fire safety. Join us next year!